Few things can affect the horse racing industry quite as badly as equine flu. As the name suggests, it’s a version of influenza that specifically targets horses, although donkeys and mules also susceptible to it. Horse flu can be fatal to younger animals and debilitating to older ones, in much the same way that it can leave humans exhausted and struggling to perform at the best of their abilities. The illness is a strain of influenza A and is highly contagious. If an outbreak is discovered horse racing tends to grind to a halt, with the idea being that there will be less chance of it spreading if horses are kept apart as much as possible. It can take up to six months for horses to fully recover from the illness, resulting in horses being unable to take part in races until they have recovered. That list is far from exhaustive, of course, but you can doubtless see the connection between the horse variation of the illness and the one that humans go through. It is not generally considered to be fatal for adult horses, but those with the illness can remain infectious for up to ten days. 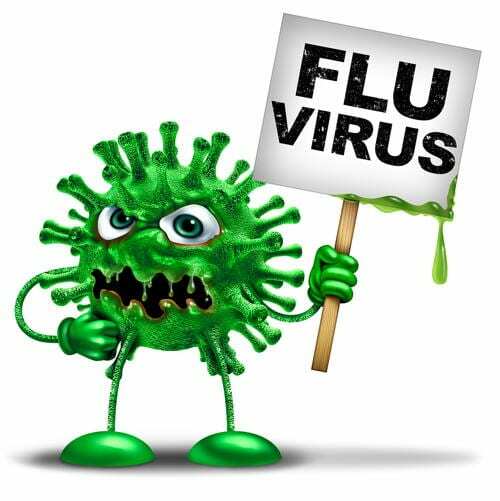 As with human flu, the illness can also lead to further complications that can themselves be deadly, even if the initial problem is not. It is not out of the question for horses with equine flu to develop pneumonia, for example. The illness has a short incubation time and transmission between horses happens easily. In terms of recovery, those horses that are only mildly affected will likely be back to normal within a few weeks. For horses that are hit the hardest, however, recovery can take months. Part of the problem in terms of the transmission off equine influenza is that horses that are immune to it may not necessarily show signs of having it but are still able to pass it on to other horses that they come in contact with. The illness cannot affect humans but it can be carried by them. It is most commonly transmitted by horses coughing and sneezing but can also be moved from horse to horse on contaminated brushes and tack, in infected buckets and via other stable equipment. As with human flu, there is no specific treatment for the equine branch of the illness. Horses that get it need to receive rest and general care. Vets that are called in to treat victims of equine influenza will often recommend a week of rest per day of fever. The idea is that this will give the damaged mucocilliary apparatus time to regenerate. Antibiotics tend to only be administered if the fever lasts for more than four days or if pneumonia sets in. In terms of prevention, horses are regularly given vaccines to ward against equine flu, with boosters administered throughout the year. As British horse racing found out in 2019, however, the vaccination in and of itself is no guarantee of a horse remaining flu-free. The three horses from Bankhouse Stables that tested positive for the flu and caused panic within the industry had been vaccinated but still caught the illness. Even so, the International Federation for Equestrian Sports requires six monthly vaccinations and British racing events require horses to be up-to-date with their vaccinations and produce cards showing as much for every meeting. Why Does Racing Get Cancelled? The big question is what happens to racing when an outbreak is discovered? As a precautionary measure races are often cancelled due to the fact that it is so incredibly easy to transmit the illness from one horse to another. Because it can be easily transferred between horses, having a number of the animals in the same place at the same time will likely result in a large number of horses catching it. 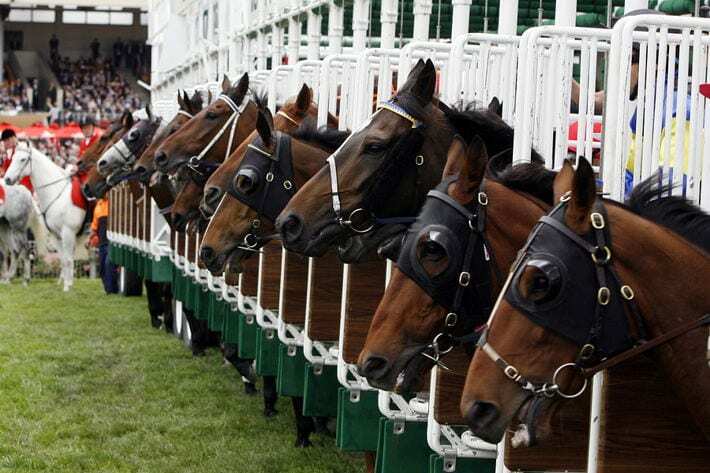 When race meetings take place, seventy to one hundred horses are kept within the same area as each other in stables, to say nothing of how close they would be when getting ready to start the races. If they were to catch equine flu and then travel back to their own stables before it was noticed that they had the illness, they would take it with them and pass it on to their stable mates. In 2019, for example, Gordon Elliot had five horses at Ayr with horses from Donald McClain’s stables where the outbreak was believed to have started. The presence of McClain’s horses put all of the competitors at risk of having caught the illness, so the five horses under Elliot’s care were put into isolation once they returned to Ireland rather than going back to their yard. Allowing racing to continue when an outbreak is known about would increase the risk of equine flu spreading. As you can imagine, there is limited information out there about the specific history of equine influenza. There is some evidence of a Greek vet called Absyrtus writing about horses suffering from an illness that appears similar in symptoms to flu, which may well be the earliest example of it, coming as it did in 433 AD. Similarly unconfirmed reports emerged from Spain in 1299, whilst record books show examples of it occurring during the Middle Ages. Perhaps one of the best known historical examples of an outbreak of the illness occurred in in 1872 in North America, earning itself the moniker of ‘The Great Epizootic of 1872’. It was considered by most to be the ‘most destructive recorded episode’ of the illness in history. The reason it was so incredibly destructive was that America at the time saw about three-quarters of the population loving in rural areas and using horses and mules for most things, from transportation to farm work. According to the 1870 census, there were around seven million horses and a million mules in the country. Two years later and the first case of equine flu occurred in Canada, which was problematic because streetcars in the city were pulled by horses. Along with horses from the major stables, they were mostly all infected within three days of the first case. That was at the start of October, with the illness having made its way to Detroit, New England and Montreal by the end of the month. The New York Times printed a report on the twenty-fifth of October 1872 about how virtually all public stables were affected and even those in the private sector had been rendered useless. By the thirtieth of the month travel had been suspended in New York, with freight backups also occurring as a result of the outbreak. By November of 1872 most states in America were reporting cases of equine flu, resulting in the street railway industry stopping working and canals being filled with boats idling as no horses could pull them. Remarkably, the response time of the fire department in Boston was only marginally down on what it would normally have been when a major fire broke out downturn in November, despite the fact that firemen had to pull their equipment by hand when horses would normally do it. Heading back to New York, the city had around eleven thousand horses in it, of which approximately seven thousand fell ill during the outbreak. Around the rest of the country the mortality rate ranged from 1% to 10%, with the horses that didn’t die recovering completely by spring 1873. In terms of more modern outbreaks, the one that occurred in Australia in 2007 is perhaps best described as an example of what can happen when a country doesn’t respond well to cases of equine flu. For starters, Australia had never had the illness before because of its strict quarantine process put in place to animals entering the country. The authorities had also therefore never felt the need to administer a vaccine, meaning that horses were entirely exposed to the disease. The illness entered the country via four Japanese horses who had arrived at Eastern Creek Quarantine Station, with other horses there soon showing symptoms of the flu. Meanwhile, horses at the Centennial Parklands Equestrian Centre that had never come into contact with horses at Eastern Creek also started showing symptoms. When the first case was confirmed on the twenty-fourth of August 2007, it resulted in a lockdown of around sixty horses in Sydney and Melbourne whilst more tests and investigations were carried out. Regardless, the spread of the illness continued. The appropriate authorities in Australia introduced a national standstill on the movement of horses, but by the twenty-sixth of the month only four of the one hundred and sixty-five horses based at Centennial Parklands weren’t infected. The illness continued to spread, in part because of the decision to release three hundred horses from the Narrabri Showground after the end of camp draft competitions, seeing the illness spread throughout New South Wales in the days that followed. Lockdowns and quarantine zones began to be introduced all over the country but by the thirtieth of August just under five hundred positive cases had been confirmed on more than forty properties. It took until December 2007 for the number of recorded cases to begin to decline in what was called a ‘Christmas gift’ for horse owners. Given that the horses had never come into contact with each other, it was believed that human error had resulted in the disease being spread to different parts of the country. A former judge named Ian Callinan was tasked with carrying out an investigation into what had gone wrong. His findings were that the quarantine system in the country was ‘inefficient, underfunded and lacking diligence’. The report also offered thirty-eight recommendations that the Agriculture Minister at the time promised would be put into place. What Happens To Bets When Races Are Cancelled? If you’ve placed a bet on a horse race that gets cancelled because of an equine flu outbreak then you could be wondering what happens to the bet. The first thing to note is that bookmakers will not accept bets on races if racing is suspended. Any bets placed before the races were cancelled will be made void and stakes returned. But what about ante-post bets? Standard ante-post rules state that your bet will be settled as a loser if your horse doesn’t run in the race although things are a little different if the whole race doesn’t take place. For races that are postponed rather than cancelled – ie: the race ends up taking place at a latter date and time – then your bet will almost certainly stand, with the usual ante-post rules coming into effect. However, this is only true if the race takes place at the same track. If the race is moved, then ante post bets will generally be made void. If the race ends up being cancelled altogether then the bet will be made void and your stake is refunded to you. 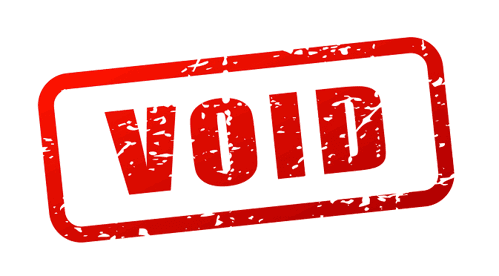 Obviously all bookmakers have their own rules and regulations, so don’t assume that just because one will do one thing that another will automatically follow suit, but generally speaking this is how most bookmakers will handle things. How Will the FOBT Stake Reduction Affect High Street Bookmakers?